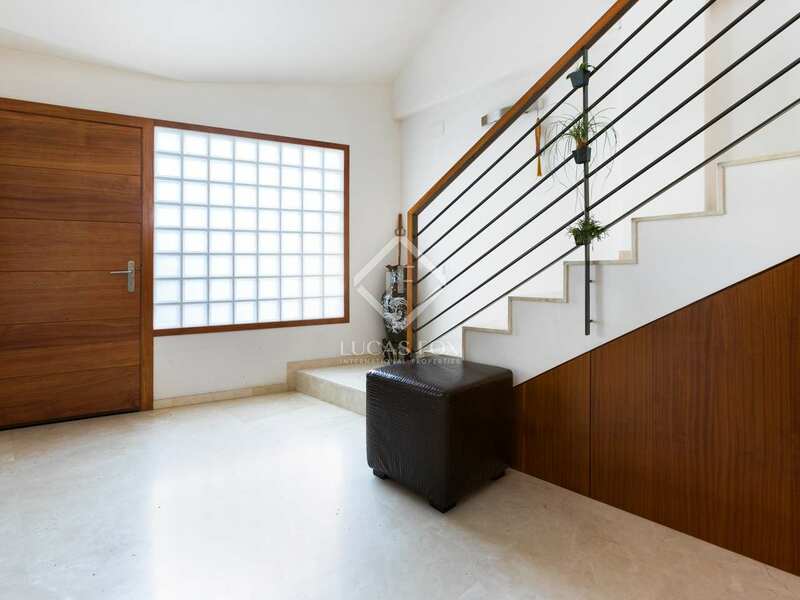 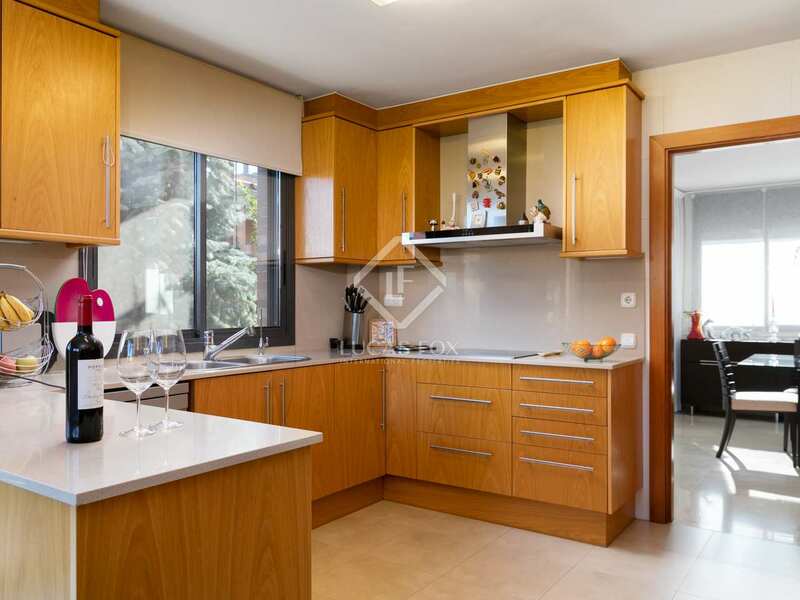 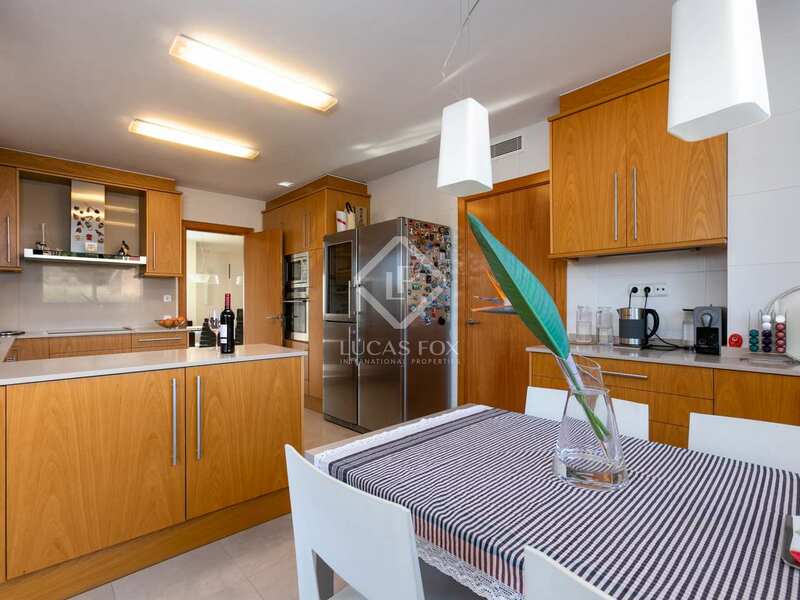 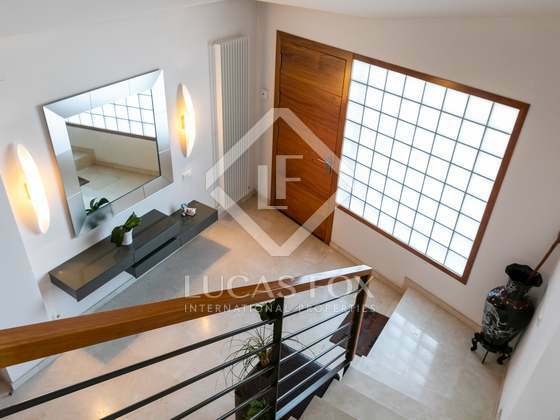 5-bedroom family home with excellent outdoor space, for sale in the centre of Alella. 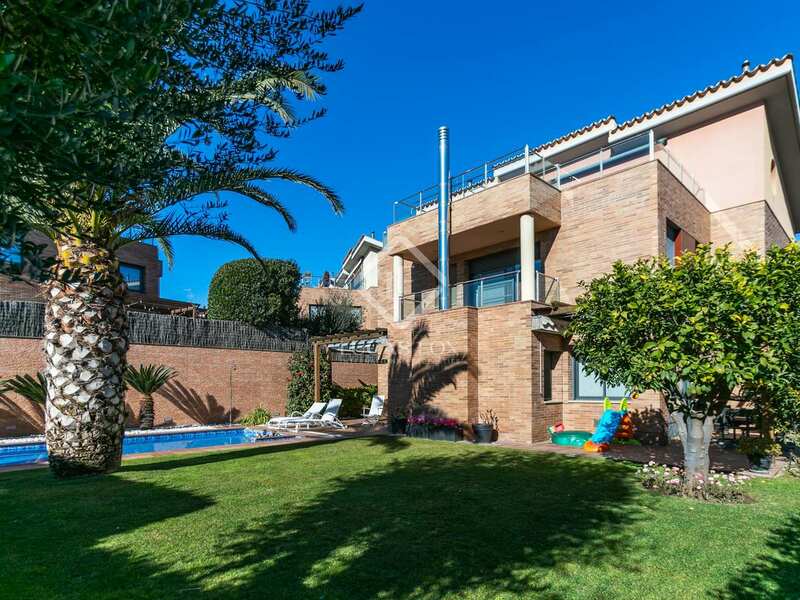 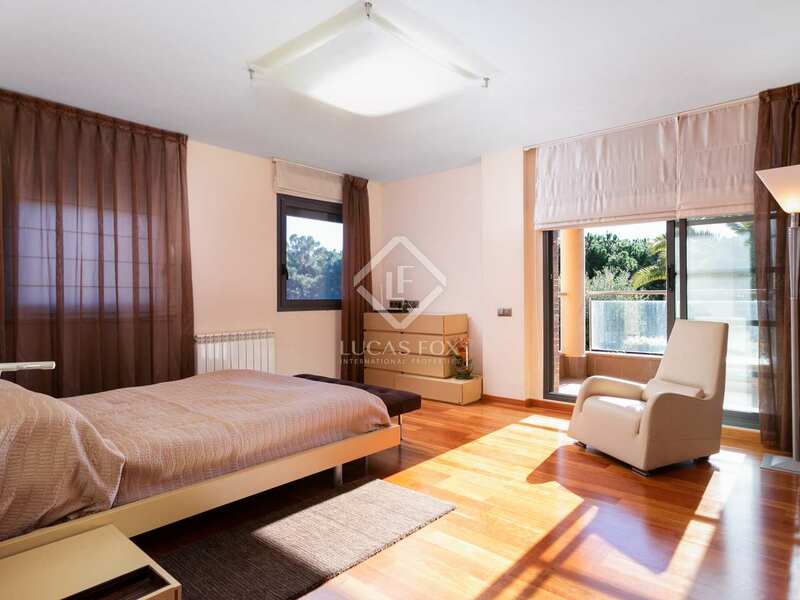 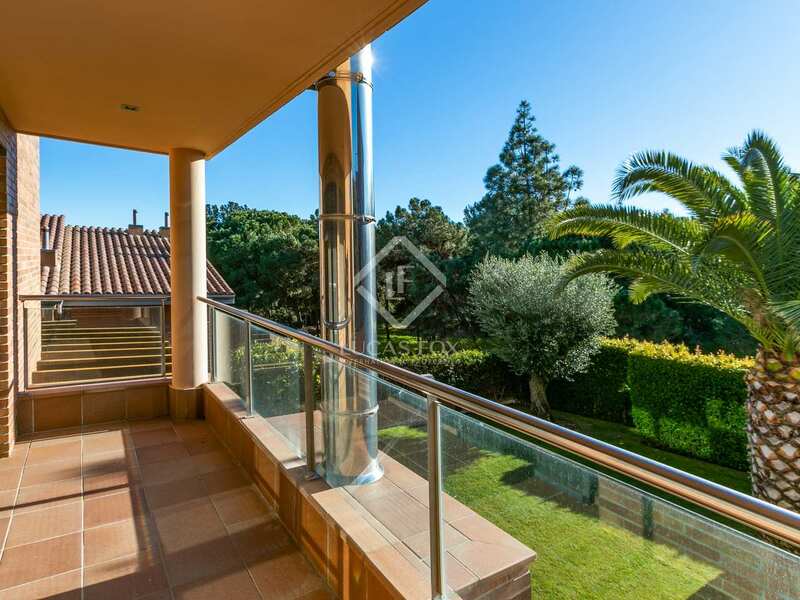 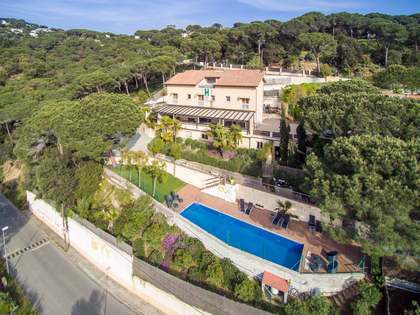 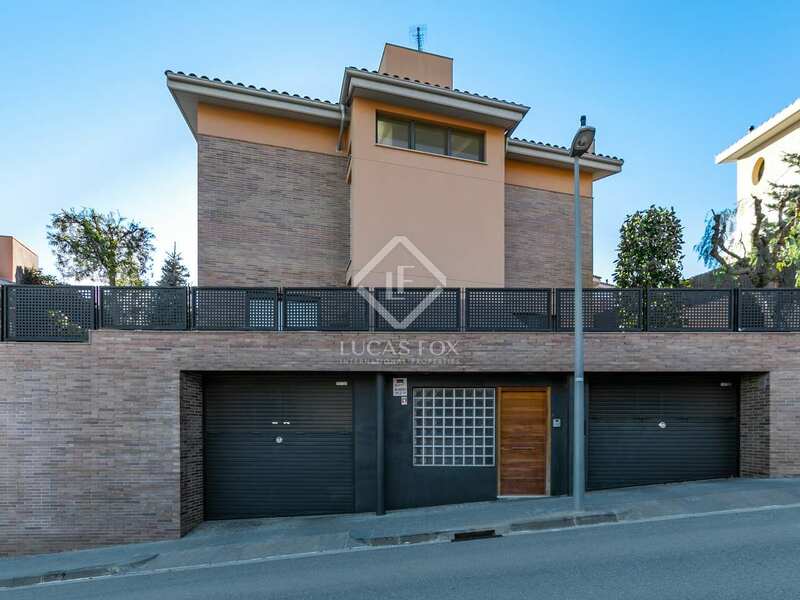 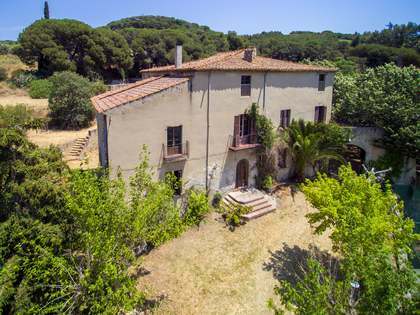 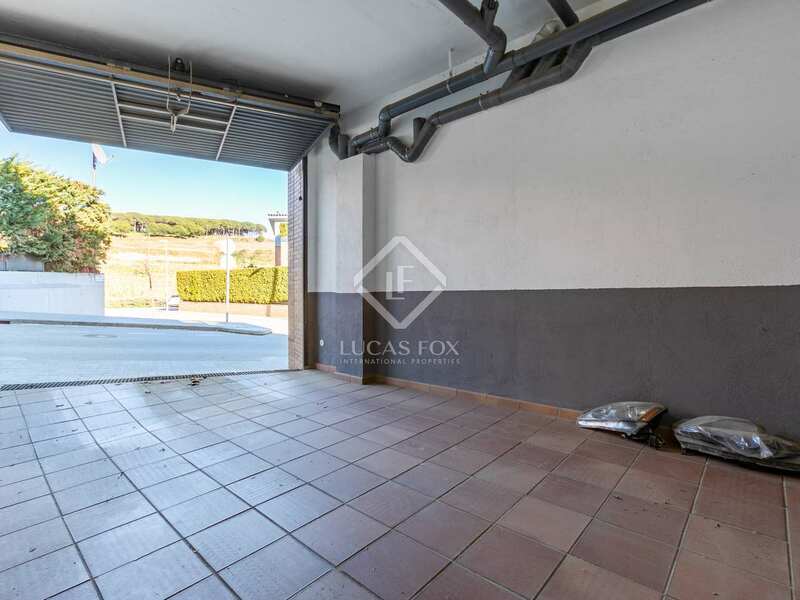 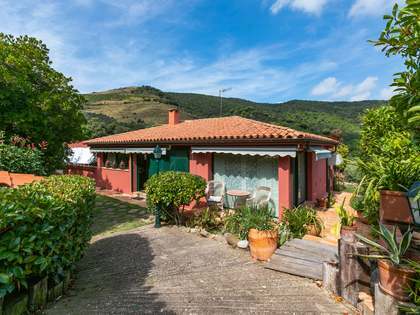 Located in the centre of Alella, this 5-bedroom family home is perfectly located to enjoy the beautiful Maresme coast as well as being walking distance to schools, shops, restaurants and public transport. 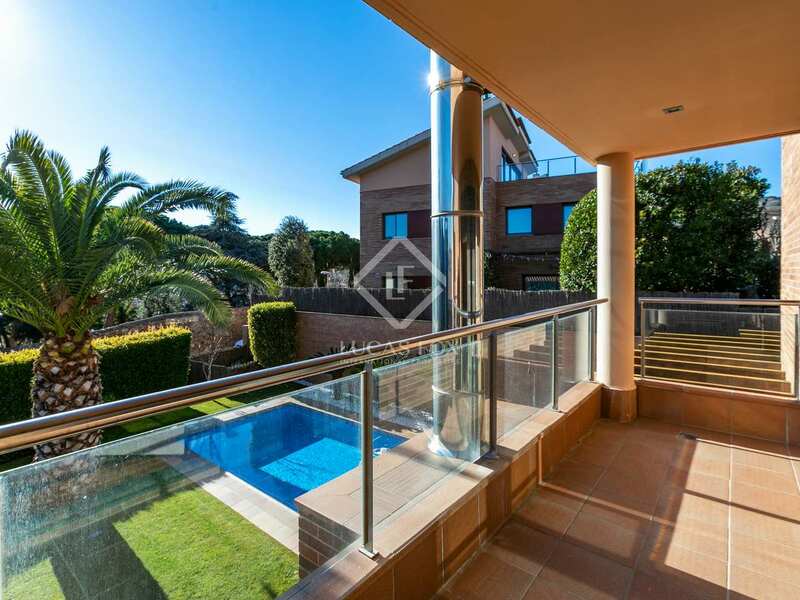 The property offers 497m² of accommodation distributed across 4 floors. 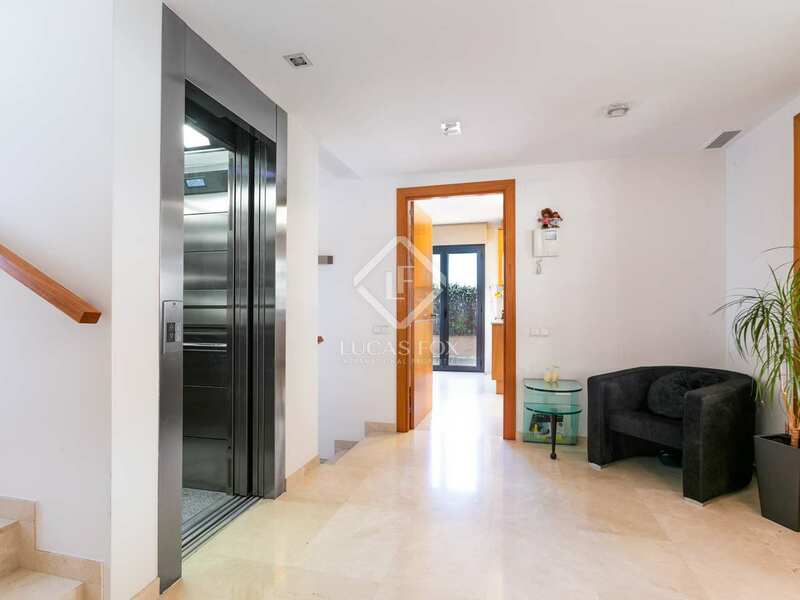 An entrance hall on the lower ground floor leads to the 3-car garage (with 2 independent access doors), a wine cellar, storage room and the lift. 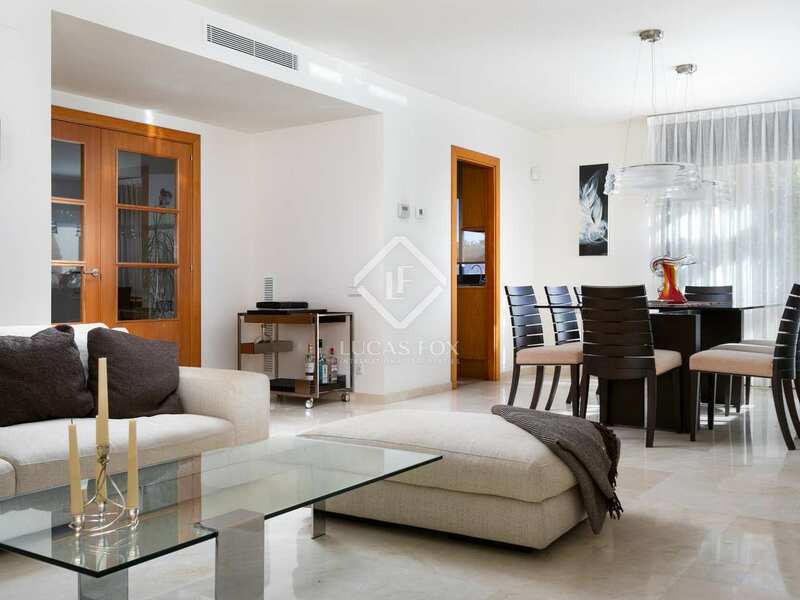 The spacious living-dining area on the first floor is modern in design with attractive marble flooring and a fireplace. 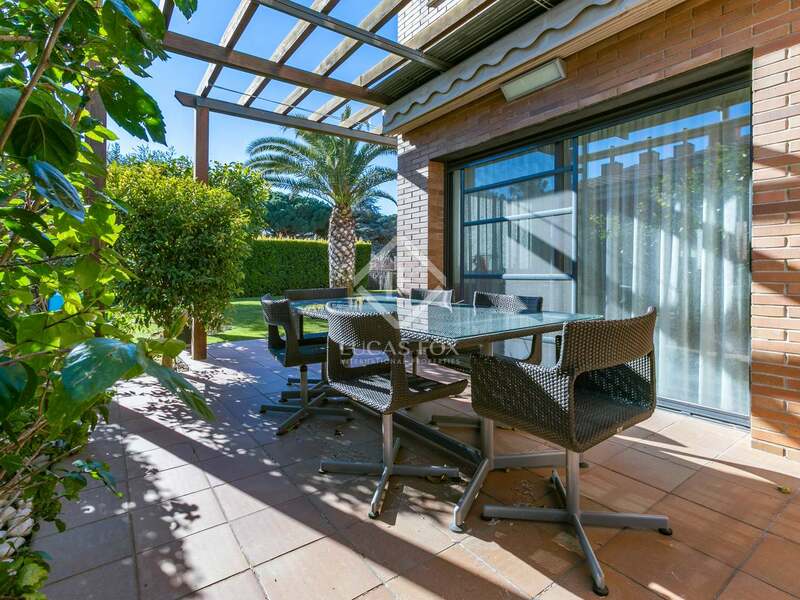 Large patio doors open onto the chill-out area to create a seamless transition between the interior and exterior spaces. 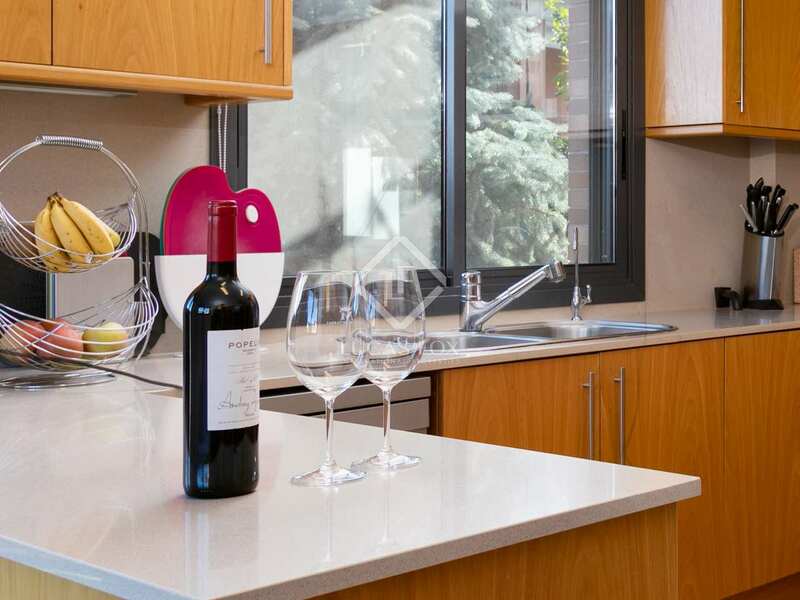 The equipped eat-in kitchen has access to the terrace and many windows which allow abundant natural light to fill the space. 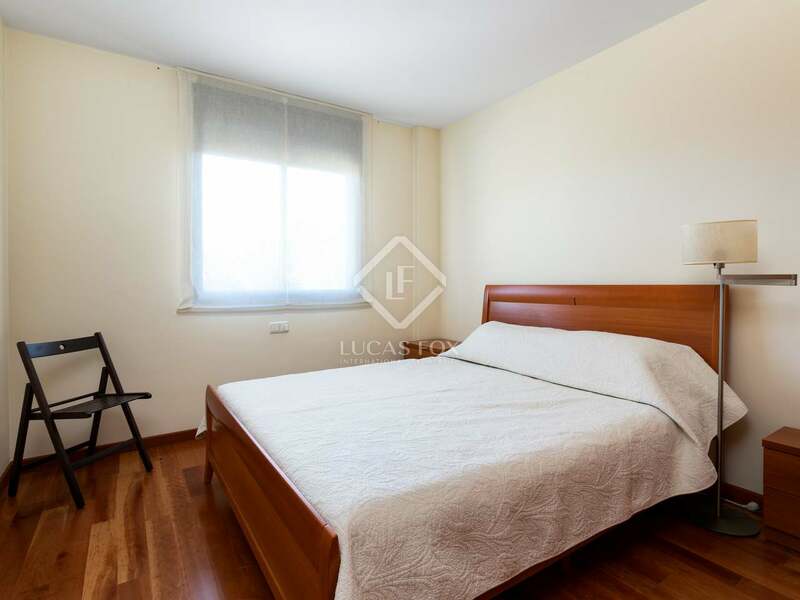 A single bedroom, guest bathroom and utility room complete the ground floor. 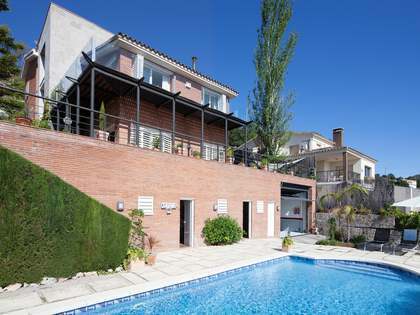 There is a total of 4 bedrooms on the second floor: a single bedroom, 2 double bedrooms with built-in wardrobes (one with en-suite bathroom) and the impressive master bedroom with walk-in wardrobe, en-suite bathroom with a jacuzzi, shower and double basin and a balcony overlooking the pool. 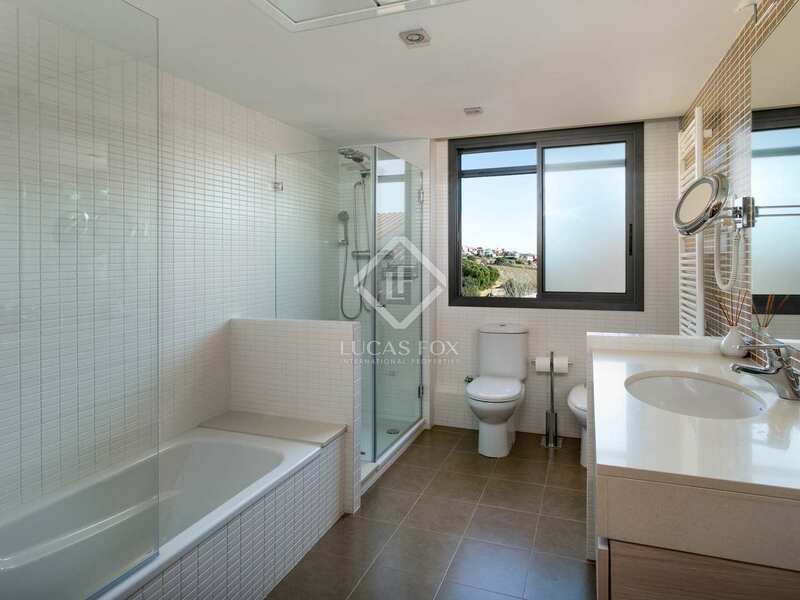 There is an additional shared bathroom with a bathtub and a shower. 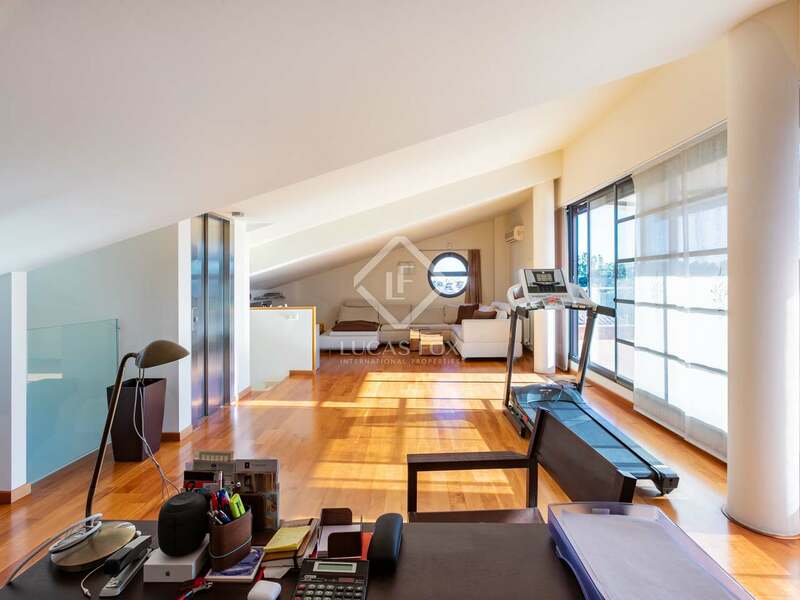 The third floor consists of a large, multi-purpose space with all the connections in place for it to be converted into an additional suite. 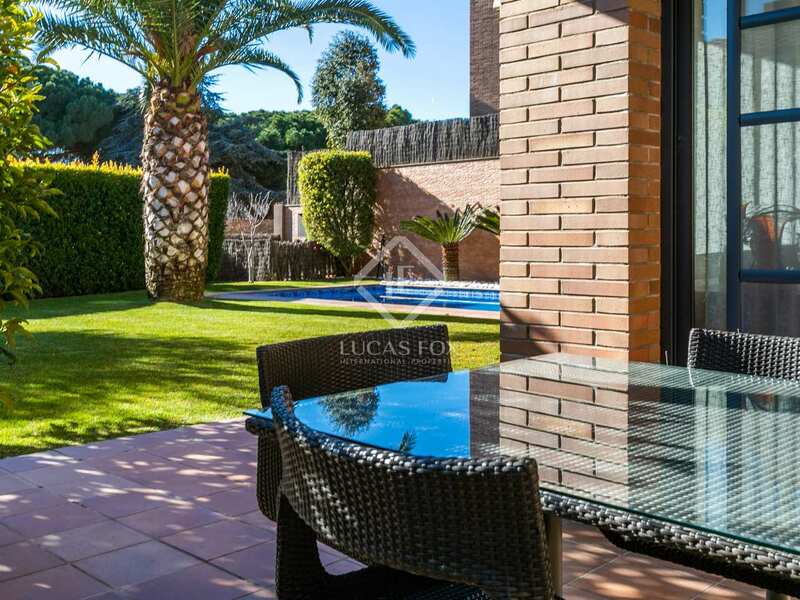 The excellent outdoor space is made up of the garden, swimming pool and chill-out area; an automatic watering system ensures ease of maintenance. 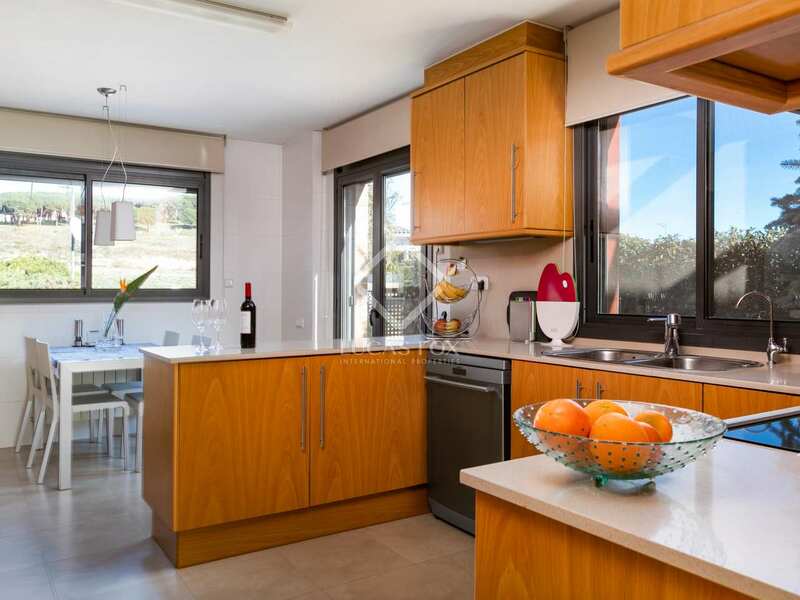 Further notable features include air-conditioning and TECHNAL double glazing, automatic blinds and mosquito nets on the windows for total year-round comfort. 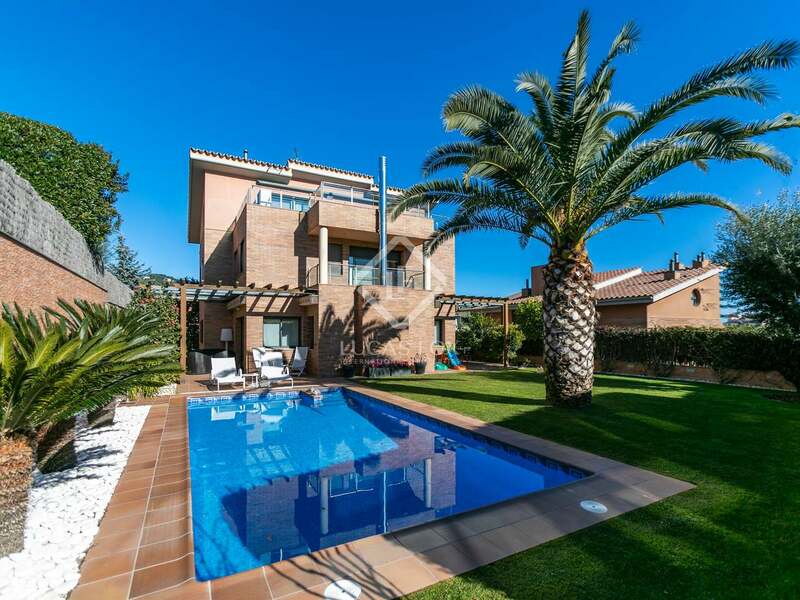 Contact us for further information about this excellent family home for sale in Alella. 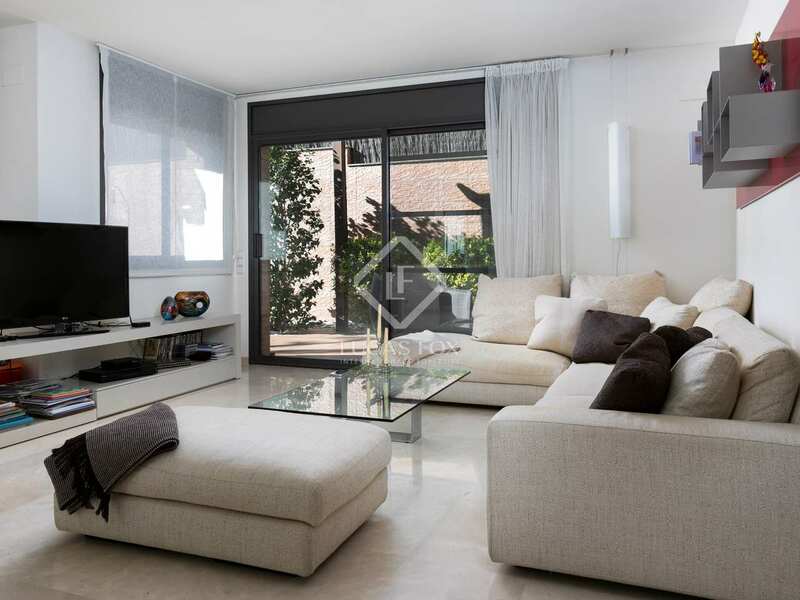 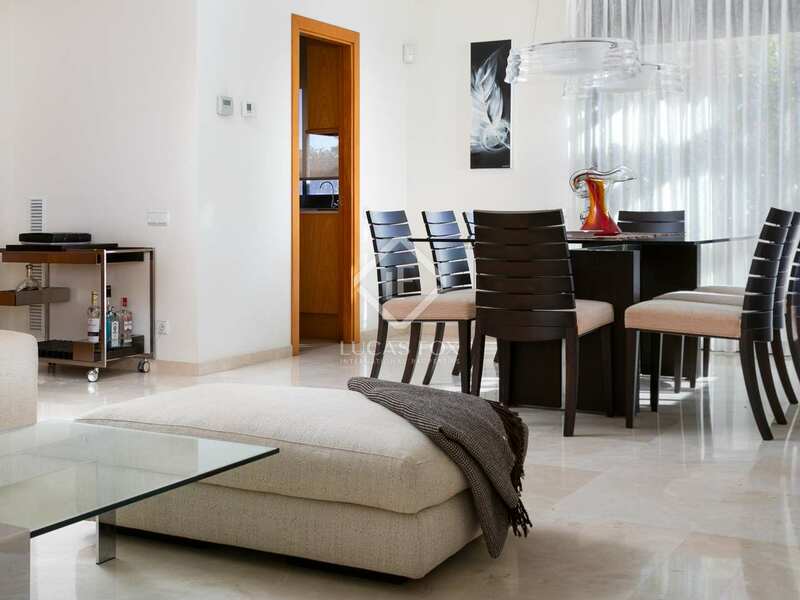 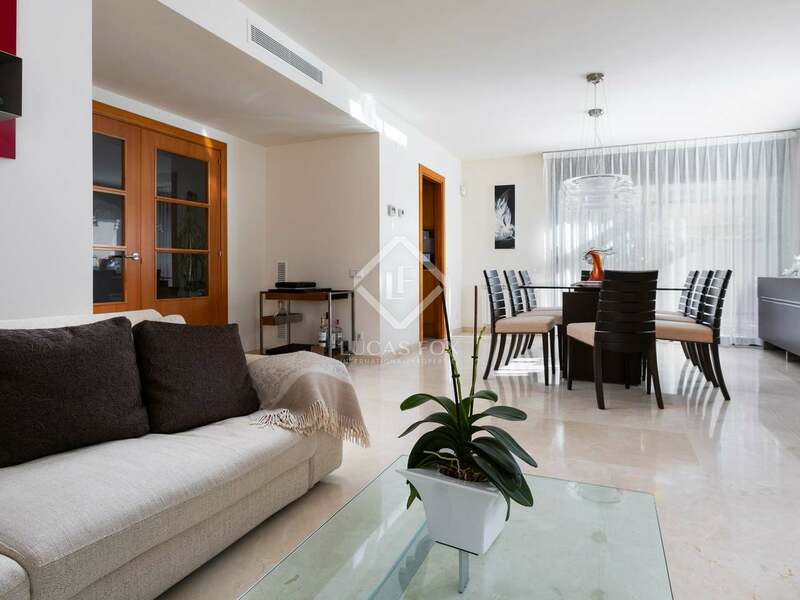 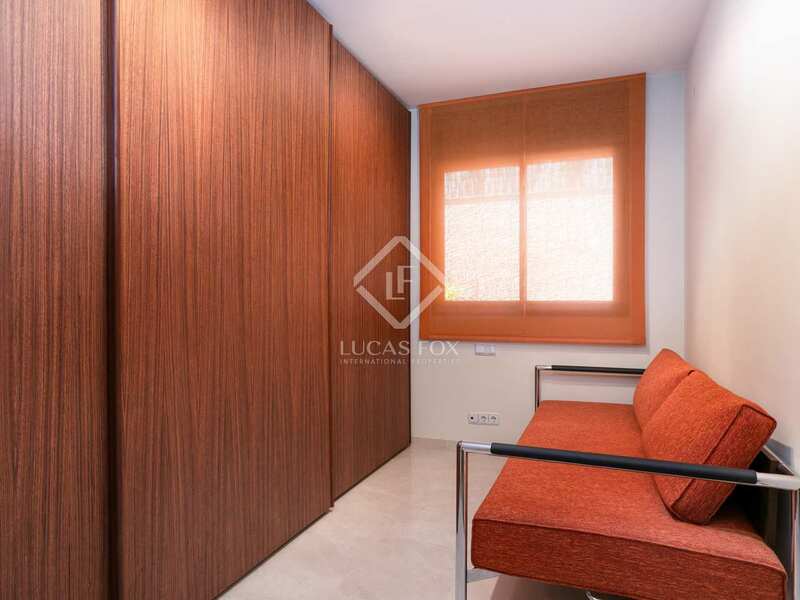 Property located in the centre of Alella, a 5-minute drive to the beach and walking distance to all amenities. 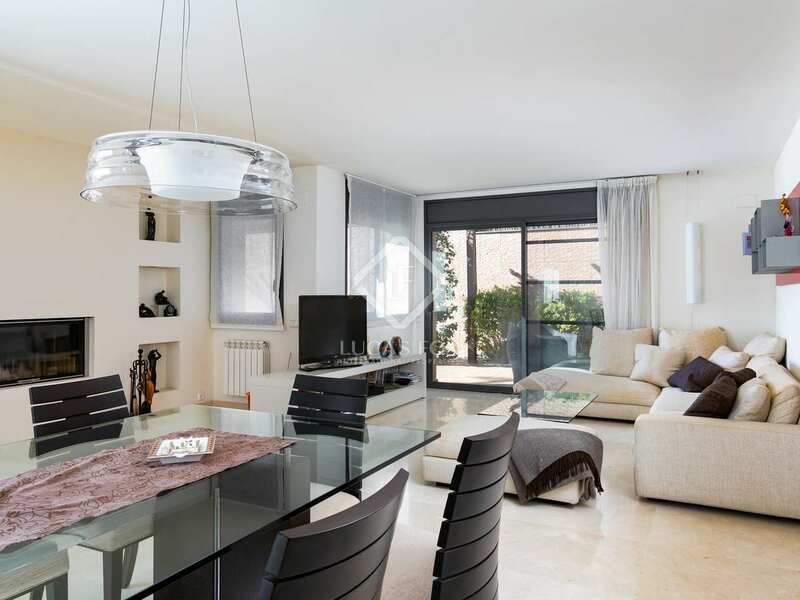 Barcelona city can be reached in 15-20 minutes. 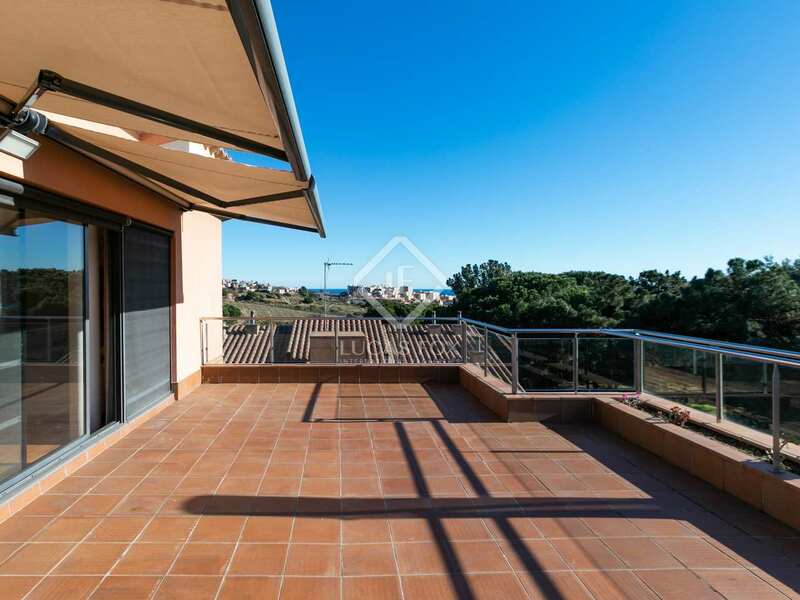 The perfect setting from which to enjoy everything this beautiful seaside location has to offer.